Back when I went to college, we learned that history really shouldn�t be written until a few generations after the fact. In many ways, this idea makes sense, as it seems best to assess events at a distance removed from the heat of the moment. However, there�s something to be said for that heat. Yes, we can leave judgments of historical significance for a few decades, but a more immediate perspective can also be valuable. For evidence of this, we need look no further than 1974�s Oscar-winning Hearts and Minds, a provocative look at the US involvement in the Vietnam War. Directed by Peter Davis, Minds doesn�t really attempt to provide a history of the conflict, though it pays some lip service to that concept. The film starts with a basic outline of the issues and how the US became involved, and some of the �highlights� of the conflict receive coverage. However, if you seek a true documentation of the war from start to finish, you�ll need to look elsewhere. The conflict hadn�t even ended by the time Minds first screened in 1974, though American troops had departed by that point. Rather than attempt to full history of the war, Minds instead focuses more on snapshots. The film alternates a few different kinds of materials. Much of it consists of interviews with involved parties. We hear from American veterans of all stripes; some still supported the war at the time, while others covered a range of different emotions and attitudes, though most of them felt negatively toward it. A mix of Vietnamese citizens affected by the fighting also provide their opinions and discuss their circumstances. In addition, we get information from a myriad of movers and shakers with a stake in the Vietnam War. These include Clark Clifford (aide to President Truman 1946-50, Secretary of Defense 1968-69), Georges Bidault (French Foreign Minister in 1954), Walt Rostow (aide to Presidents Kennedy and Johnson), Senator J.W. Fulbright, General William Westmoreland (Commanding General Vietnam 1964-68), Daniel Ellsberg (Former Aide, Defense Dept., Rand Corp.), Nguyen Ngoc-Linh (chairman, Mekong Conglomerate, Former Cabinet Minister) and General Nguyen Khanh (President of South Vietnam 1964-65). Along with the interviews conducted specifically for Minds, we see a great deal of archival footage. Some of this shows historical events and offers remarks from Presidents Eisenhower, Kennedy, Johnson and Nixon among others. Minds also features war and other stock footage not shot by the filmmakers; for instance, you�ll see the infamous clips of the bullet-to-the-head assassination of a Vietnamese officer and also the naked girl burned by napalm as she runs through the streets. Minds tosses in images from older Hollywood movies as well; used as counterpoints, these attempt to convey American attitudes. Probably the biggest criticism one can level at Minds stems from its editorial bent. Without question, it takes the anti-war side of things, and one could argue it goes for a pro-Vietnamese bent as well. Vietnamese subjects almost never receive anything but glowing depictions. The sole exception occurs when Minds looks at some war profiteers; they come across as obnoxious and callous. Otherwise, virtually all of the Vietnamese seem noble and brave, and they show no significant flaws. That same tone doesn�t greet the Americans, though their portrayal doesn�t seem black and white. Many Americans appear thoughtful and intelligent, but when this happens, they always object to the war effort. The vets who receive a positive portrait also demonstrate their misgivings and/or remorse. On the other hand, we see a lot of Former POW Lt. George Coker, who returns to his hometown and a hero�s welcome. The film follows his public speaking affairs as he tells folks about the war, and he comes across as na�ve at best and racist at worst. Coker tells schoolkids how the US won the war and lets them know the Vietnamese are �backward and primitive� and they �make a mess out of everything�. Of the various authority figures, only Rostow sticks to his pro-Vietnam War guns. Clifford acknowledges he was wrong to support it, and even Westmoreland seems less than positive about the whole thing. Rostow still appeared to feel it was an appropriate intervention; not surprisingly, he receives the worst treatment of the bunch. Davis actually uses an outtake from the interview sessions in which Rostow refers to a query as a �goddamned silly question�, and Rostow comes across as arrogant and narrow-minded. I thought the inclusion of the outtake hit below the belt. Clearly Rostow didn�t believe that his mini-tirade would ever see the light of movie screens, and it seems unfair to paint him in such a negative light. He buries himself badly enough with his continued support of the disastrous conflict; Davis didn�t need to make things seem more personal. The archival footage shown in Minds also demonstrates the film�s bias. In regard to Hollywood footage, the documentary includes little more than glaringly racist and condescending shots. We also see reactionary discussions of the �Red Menace� that don�t attempt any form of balance. Davis wants to put us in the American mind set for the era, but these stabs seem too one-sided to be accurate. We only learn the worst tendencies, and the movie offers little balance in that regard. 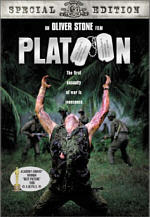 To play �Over There� atop shots of soldiers as they victimize Vietnamese villagers demonstrates a ridiculous lack of subtlety, and that moment doesn�t sit alone in Minds. I don�t object to the fact Minds takes on a point of view, and I also don�t have a problem with its particular conclusion. I feel the US involvement in Vietnam was a total disaster with virtually nothing good to show for it. We never should have been there and we definitely should have departed much more quickly than we did. That said, Minds should have made more of an attempt to present the counterpoint. In a way, it does this via the various clips from other films and through the racist statements of Coker and Westmoreland, who relates that �Orientals� put little emphasis on the value of human life. However, these �insights� into the American mindset seem simplistic and condescending. While Minds offers a flawed film, it still succeeds as a whole because so much of it seems so powerful. Smartly, Davis omits the use of a narrator; occasionally, explanatory text appears on screen, but usually the events speak for themselves. What Minds does best is show the Vietnamese side of things. In most projects, all we ever hear is the American viewpoint, and while this obviously is important, it shouldn�t be all that we hear. 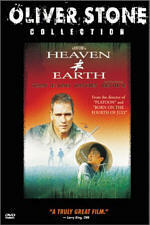 Oliver Stone�s Heaven and Earth attempted the alternate view, but it remains a rarity. Although I think it seems too simplistic, I like the attempts seen in Minds to convey the Vietnamese experience. Those are the strongest parts of the film. We see the devastation wrought on these people and witness just what a mess the war made of things. Quite a few other moments in Minds also work well, but those that take the Vietnamese perspective seem the most effective. In the end, Hearts and Minds remains a flawed film that simply seems too one-sided for its own good. However, the movie contains so much excellent material that it succeeds despite these problems. Anyone with an active interest in the Vietnam War will want to take a look at this documentary. 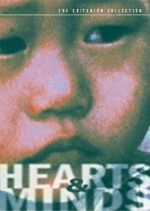 Hearts and Minds appears in an aspect ratio of approximately 1.85:1 on this single-sided, dual-layered DVD; the image has been enhanced for 16X9 televisions. I didn�t expect a nearly 30-year-old low-budget documentary to look terribly good, but I felt pleasantly surprised with Minds; despite a mix of inevitable flaws, it presented a reasonably solid image. Sharpness usually seemed pretty good. Most of the movie appeared acceptably distinct and well defined. A moderate number of shots looked a little soft and fuzzy, but these issues never became severe. Jagged edges and moir� effects demonstrated no concerns, and I also witnessed no signs of edge enhancement. For the most part, print flaws seemed fairly modest. The biggest issue seemed to relate to the inherent graininess of the source footage. The image consistently showed moderate amounts of grain. In addition, many shots came from either stock footage or archival sources, and they also displayed a number of defects not seen in the shots created explicitly for the documentary. Otherwise, the movie showed only a few concerns. I saw a little grit at times, and I also noticed an occasional speck and a hair or two. Colors looked decent for the most part, though they also could seem fairly bland and murky at times. Some exterior shots in Vietnam displayed quite solid hues, but most of the film appeared mediocre in regard to color reproduction. The tones looked a little heavy and messy at times. Black levels also came across as somewhat flat and muddy, and shadow detail seemed somewhat thick and heavy. Both appeared more than adequate for a production from this era with this sort of budget. Objectively, Hearts and Minds showed too many issues for me to rate it above a �C+�, but subjectively, I felt pleased with the results. Similar thoughts related to the monaural soundtrack of Hearts and Minds. A dialogue-heavy piece, speech appeared a little thin but always came across as acceptably distinct and defined, with no noticeable issues related to intelligibility or edginess. Music provided a very minor element of the mix, and the different tunes seemed somewhat flat but they appeared relatively bright and distinct. Effects also seemed slightly dull, but they stayed accurate enough, and they displayed no problems related to distortion. Explosions even managed a little bass impact at times. In the end, the audio seemed fine for an older, low-budget film. While the Criterion DVD release of Hearts and Minds doesn�t pack a slew of extras, the materials we find are excellent. Of primary interest is an audio commentary from director Peter Davis, who provides a running, screen-specific affair. And a terrific track it is, as Davis covers a myriad of topics. Some of these go over the technical end of the spectrum and relate the challenges of making the film, but most relate to more heated subjects. Davis addresses the apparent bias that others and I perceive, and he talks about controversies as well; he tells us of Walt Rostow�s lawsuit and the other problems he encountered when it came time to release the movie. He also discusses factual information as a backdrop for the images. Overall, Davis provides a terrific commentary that added a lot of useful material. Criterion create the best booklets in the business, and the one that accompanies Hears and Minds is no exception. After an introductory statement from Bobby Muller - one of the Vietnam vets seen in the movie - we find five separate essays. Film critic Judith Crist provides a general look at the film, while historian Robert K. Brigham offers a view of the way the movie depicts the Vietnamese. Historian George C. Herring provides a quick but tight history of the war, while historian Ngo Ving Long covers the influence it had on the indigenous population. Lastly, director Davis looks back on the aftereffects of the conflict from the vantage point of today. All of these essays seem interesting and useful, but the historical discussions contribute the strongest information. By no stretch of the imagination can one consider Hearts and Minds to offer an objective examination of the Vietnam War, and that bias hurts it at times. Nonetheless, the movie presents a powerful look at its subject that brings home the folly of the conflict with great clarity. The DVD provides relatively positive picture and sound along with some fine text essays and an excellent audio commentary. 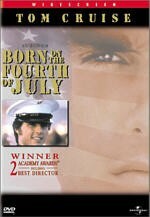 After almost 30 years, Hearts and Minds remains required viewing for students of history.